The snowy and icy weather of last winter lead to a massive increase in the number of 4x4s being bought as people sought to conquer the poor weather with all-wheel drive. With increased demand comes increased prices, though, and so people paid a premium during the colder months of the year. In much the same way, summer sees sunshine and dry roads, causing people to go mad for cabriolets, meaning sellers shift their used soft-tops more quickly and for more money. There’s a lesson to be learned here, and it’s all about planning ahead. The harsher winters of late are unlikely to abate this year, so for those of you who hankered after a 4x4 last winter but couldn’t find the cash, now would be the time to buy. To help you out we’ve picked though our classifieds and found several 4x4s to suit all budgets. First of all, for those after a ‘fixer upper’ to work on in preparation for winter, there’s the Suzuki Vitara 1.6 for under £1,000. At this price most of the 4x4s on sale have huge, thirsty V6 or V8 engines which make them fairly foolish choices for those on a tight budget, but if you’re willing to forgive the image, the fact it’s fourteen years old and the fact that, despite having a 1.6-litre engine, it’s not that economical anyway, there’s a case for the Vitara. It’s rugged, fairly reliable, cheap to buy and insure and there’re loads of bits and pieces around online to make it more competent when things get tough, including suspension lift kits, giant knobbly tyres and roll cages. This one is a fairly low-mileage example (just shy of 60,000 miles) and has a fresh MOT, so for £895 it looks like a decent buy. But more money gets you more car, as with most things. A budget of £5,000 is sensible, giving plenty of scope without going too far back into the annals of all-terrain vehicle history. One of our reader reviews states that the Cherokee is more than capable off road, in the wet, or in snow, but that it’s neither particularly reliable nor very frugal. Irrespective, it’s quite pretty and it has a Jeep badge so the neighbours will envy your ability to drive come winter. This one is a 2.4 Sport, with one owner from new and a 39,000 miles it comes with full service history and tax until August, all for a reasonable £4,295. If you want to push the boat out a bit further then you can get the ultimate in 4x4s for about £15,000 or less – a Range Rover Vogue. 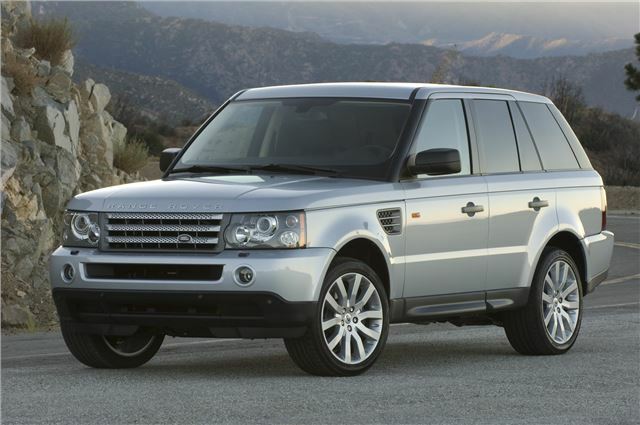 Luxurious, well built, speedy, stable on the road and more than capable off it, the Range Rover is arguably one of the finest vehicles ever made. And yet you can have a 2002 model for less than a new Ford Focus... granted it’ll cost a lot more to run than a Focus, but that’s beside the point. This model is a TD6, so it’s more economical than the big petrol V8, returning 25mpg on the combined cycle. Hardly brilliant, but this is a heavy machine. It’s less expensive than its petrol counterpart when it comes to tax, too. You also get all of the creature comforts you could ask for and a well built, cleverly designed cabin featuring switches you can operate when wearing gloves - ideal for the winter. Even better for winter is the cabin heater, which warms the car up before you set off. Finally, for the premiership footballers amongst you, something unique, brash and not very pretty – a Techart Magnum. It’s actually a Porsche Cayenne that’s been injected with steroids by German specialists. Power and torque are beefed up to as much as 600bhp and 850Nm on some models, but this one makes do with 530bhp. The body has been mutated by the application of new bumpers, bonnet, spoilers and other assorted aerodynamic kit into this bulbous, muscular craziness, and there are loud oval tail pipes and ride-ruiningly humungous alloy wheels to satiate your desire to stand out from the crowd. And you can stand out even in the most furious of snowfall care of the four-wheel drive system. If you’re looking for a mad, highly tuned Porsche, an understated Range Rover or a simple, inexpensive runaround suited to winter conditions, Summer is the time to buy. Whether it’s 4x4s, cabriolets, family cars or anything else, there’s something for all tastes in our deals section.